A compact, lightweight roof prism binocular that is perfect for the hunt where you need to pack light. A smooth central focus knob and dual-hinge design are among its features. Available in 10x25 magnification, in black or Realtree Xtra® Green. The body design of the ACULON A30 makes it easy and comfortable to hold throughout periods of extended use. 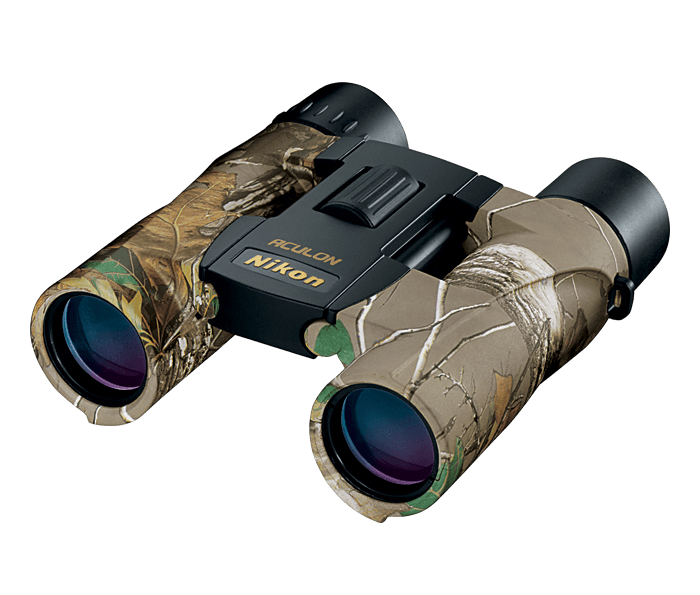 The ACULON A30 10x25 is an extremely portable binocular that weighs in at less than 10 ounces. This is a quality optic at an affordable price that you can take with you on any outdoor adventure. This fast and smooth range of focus allows for quick viewing. a lighter-weight, lead and arsenic-free glass composition.